We've found your little slice of heaven! 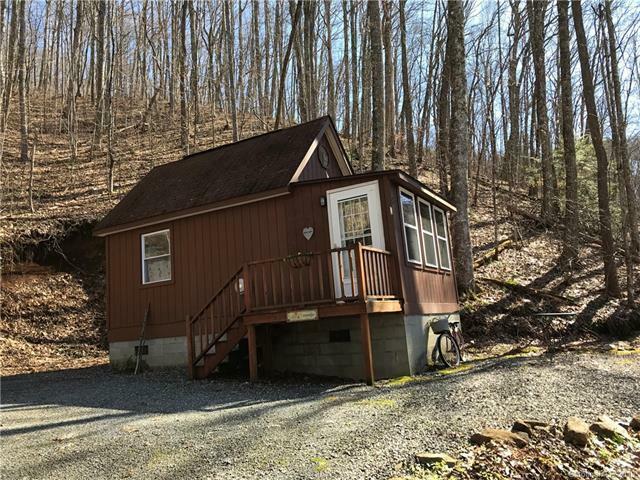 You will love this cabin in the woods with an en-suite master bedroom and twin sleeping lofts, hardwood floors AND an Airbnb efficiency cabin! Wait there's more! There's a 3rd accessory cabin which was previously used as an office with electric heat. The main cabin was completed in 2004 and the first efficiency cabin in 2010. The house is located on 7.16 acres and has possible additional cabin sites. 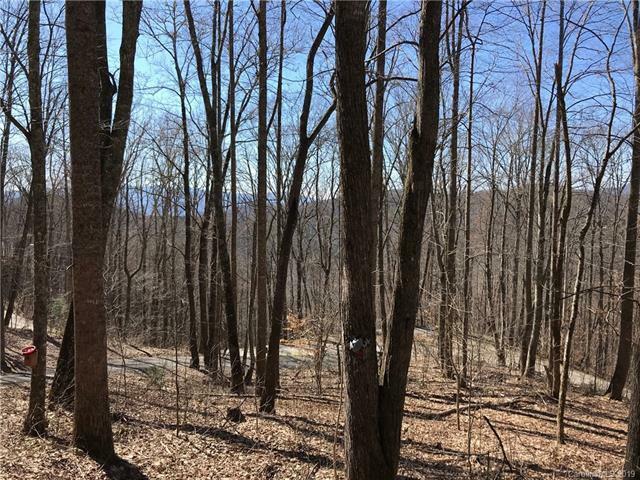 Driveway is paved with tar and gravel for traction and easy maintenance.This property is high above it all in the Cane Creek Ridge subdivision. 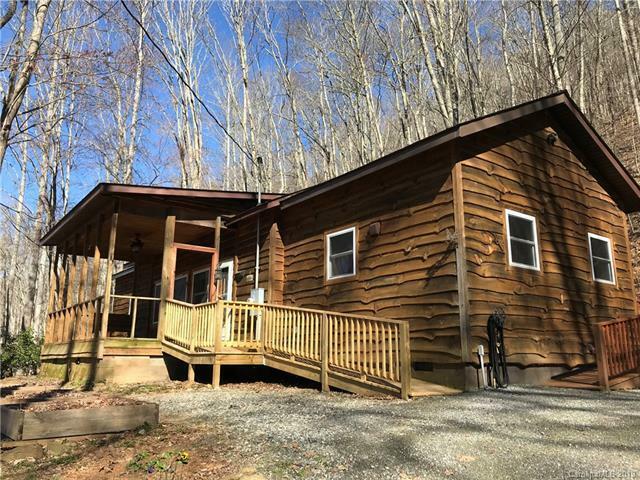 Only 3.7 miles from Hwy 74, roads are well maintained by the community and the driveway is not steep, also well maintained by the seller. Take a look at the photos and then call us before it's too late! 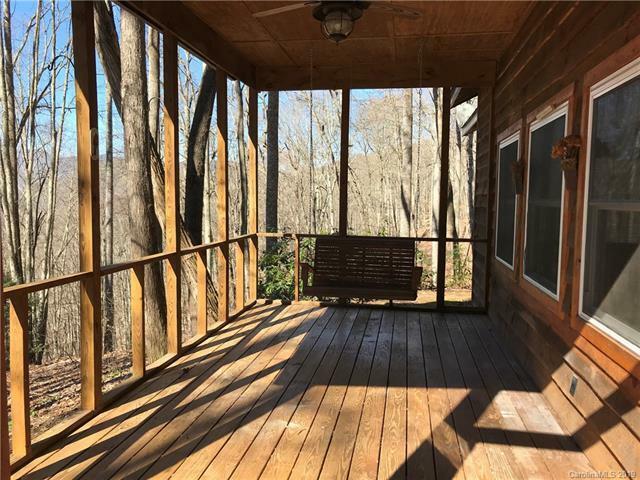 Offered by Nc Mountain Real Estate. Copyright 2019 Carolina Multiple Listing Services. All rights reserved. The data relating to real estate on this Web site derive in part from the Carolina Multiple Listing Services, Inc. IDX program. Brokers make an effort to deliver accurate information, but buyers should independently verify any information on which they will rely in a transaction. All properties are subject to prior sale, change or withdrawal. Neither Homes Charlotte nor any listing broker shall be responsible for any typographical errors, misinformation, or misprints, and they shall be held totally harmless from any damages arising from reliance upon this data. This data is provided exclusively for consumers' personal, non-commercial use and may not be used for any purpose other than to identify prospective properties they may be interested in purchasing. © 2019 Carolina Multiple Listing Services, Inc. Data last updated 2019-04-21T15:58:27.247.